Looking to make a change in your office? A fresh new look for your office can revitalize business in a number of ways. Firstly, working in a new and improved environment can boost staff motivation. Just as important are the effects that an office makeover can have on your customers, who’ll see you as a healthy business that’s on the up and up. The big question here is: how much will it cost to make a significant impact to the way your office looks? With services from Carpet Cleaning Waltham Forest, you can make a little money go a long way. Our cleaning and stain removing packages designed to cater to small Waltham Forest businesses will make your office look like a whole new place! Many businesses put up with grimy carpets and stained furniture simply because they can’t afford the high cost of replacing them. Not Carpet Cleaning Waltham Forest clients. Many of our clients are small businesses, just like yours, and they have discovered the huge change a professional and thorough carpet cleaning can do. Our fairly priced services mean that you can give your office that makeover you desire and even continue to maintain the ‘new’ appearance of your carpets and furniture with regular carpet and upholstery maintenance. *The costs above are valid about Waltham Forest. They include the required labour (cleaning hours). If additional time is needed, then supplementary costs will be applied. Minimum charge applies. Quotes over the phone are formed based on the supplied information. So how exactly does Carpet Cleaning Waltham Forest revamp your office without your having to buy a single new piece of furniture? Our first secret is powerful steam cleaning for carpets and office furniture. Dirt builds up in carpet and furniture fibres over the years, and in a high traffic place of business, this happens at a much faster rate. 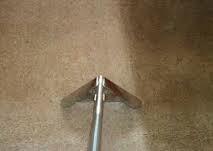 Coated with dirt and dust, carpet and upholstery fibres start looking drab and patchy. 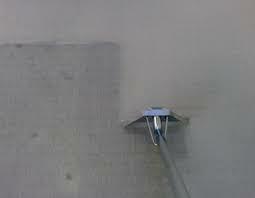 Steam cleaning removes dirt faster and more effectively than any other method because of the heat and high pressure we use. Our cleaning solution, which is made up of the finest detergents and very hot water, flows through your carpet fibres right to the base. During the extraction phase, our steam cleaning machine forcefully removes the cleaning solution which carries all the dirt out of the fabric. Without the coating of dirt and mud particles, the colors of your carpet or upholstery will regain their original intensity and look practically new. Next, our Carpet Cleaning Waltham Forest crew will proceed to deal with those pesky stains that spoil the look of your office furniture and carpets. Working on each individual spot, our cleaning technicians will evaluate the cause of the stain and treat it with the right cleaning solution in order to reveal your original spotless carpets and upholstery. Whether they are removing coffee stains, ink stains or the marks left by chocolate or mud, our experienced staff have the skills to restore your furniture and carpet into mint condition. Imagine your office space with bright and spotless carpets and stain-free furniture. Well, with Carpet Cleaning Waltham Forest, the office of your dreams is well within reach. While other companies make be offering the same services, we’re confident that no other company can give you the same value for money. Call Carpet Cleaning Waltham Forest now, to enjoy first rate carpet and upholstery care at minimal cost with the added bonus of a 100% satisfaction guarantee. Then, sit back and enjoy your ‘new’ office!